We would like to thank the owners of the cars who took part in the inaugural Classic & Sports Car People's Concours. 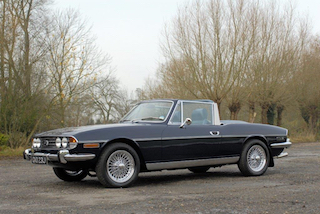 C&SC rewarded the finest privately-owned classics in this new concours in memory of David Evans, our long-serving and much-missed car clubs' liaison and organiser of the annual C&SC Club Awards at the NEC Classic Motor Show. The owner bought the car last year and has already won two ‘Show and Shine’ awards with it. 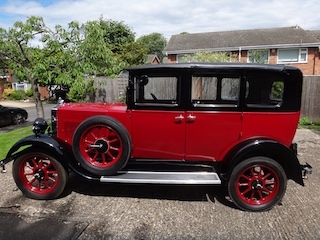 The previous owner of the car had restored it over a period of eight years, and the present owner loves to allow parents and their children to sit in it and start the engine. 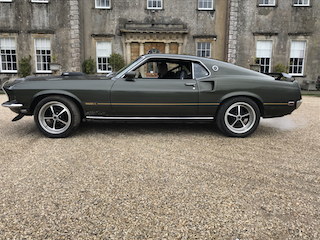 He had previously and lovingly restored a Ford Capri, but that car was written off when it caught fire, so the Mustang is even more special to him. 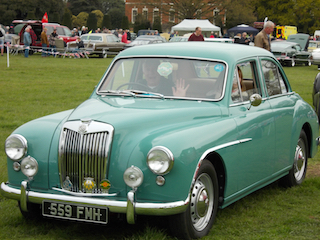 Originally registered in Buckinghamshire, this car ended up in Scotland, where it was restored by the McFarlane estate, but has now returned to Bucks. 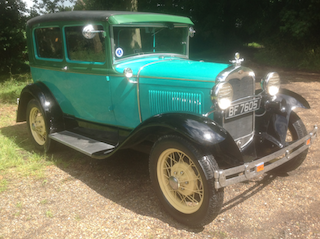 This model replaced the ‘Bullnose Morris’ - Morris decided to introduce a more ‘modern’ appearance with a flat radiator. It had the added benefit of being more efficient at keeping the cooling water from boiling! This four-door saloon has a spare wheel on one running board and a petrol can and tool box on the other. This was the last customer vehicle to enter the Browns Lane workshop before Jaguar Land Rover Classic moved to its new building at Oxford Road, Coventry, from where it was collected as the 1st customer car handover. It featured in the publicity material for the official opening of Jaguar Land Rover Classic Works on 14th June, 2017 where it was shown alongside the first completed Range Rover Reborn to illustrate the breadth of activities planned for the new facility. 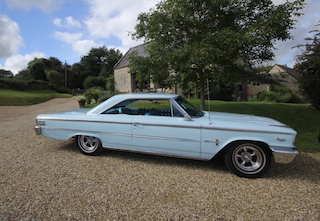 A lot of people comment on this car’s colour - it is a genuine original colour, glacier blue. It certainly would have stood out in the 1950s! In the early 1950s, MG were still producing the TD and TF Midgets, which had been popular with airmen during the war. But they saw that the competition was changing with more streamlined cars like the Jaguar XK 120, Austin-Healey 100 and Triumph TR2. And so the MGA was born. A genuine University Motors special – Downton Stage 2 - it is believed to be the original road test car used by 'Custom Car' magazine in July 1970. The owner bought the car in September 1981 and first rebuilt it in 1983. In 2016 it underwent its second rebuild, this time by MG specialist Tim Kelly of St Agnes, Cornwall. THE ULTIMATE LUXURY SPORTS COUPE OF ITS TIME. ELEGANT FORM WITH UNDATED, STUNNING LOOKS. 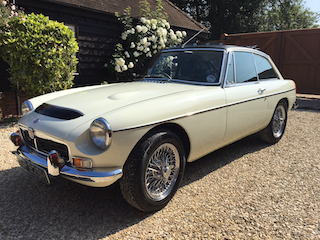 The 50th MG TA built, this car has been fully restored by its owner. There is no vehicle history from 1936-57, but from that date the original logbook still exists. 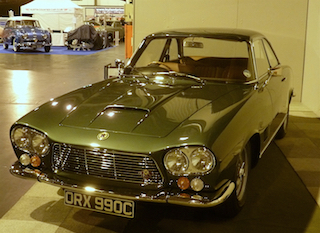 The car spent 20 years in dry storage in Denmark and returned to the UK in the late 1980s. It was put back on the road in the 1990s and the owner acquired it for a full rebuild in 2015. It has the later XPAG engine and gearbox and the later TA rear wheel arches. ‘Emmy’ was bought for £20 by her owner in 1963 to go courting. She was highly successful - Poul and his wife have celebrated their golden wedding anniversary! 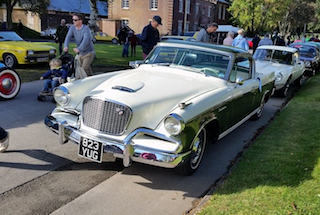 This car has fulfilled its owner’s ambition of seeing a 1956 Studebaker Golden Hawk back on UK roads. It gives much pleasure to those who remember playing with their Corgi or Dinky Golden Hawks. The top-of-the-range Golden Hawk addressed the issue of under-power with the Packard 352” engine, producing 275 BHP, and was America’s fastest 125mph family car. 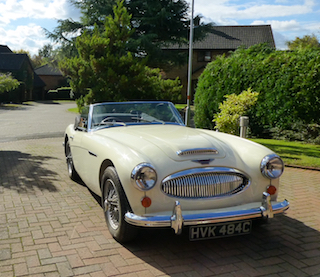 The owner’s father owned the only UK-imported 1956 Golden Hawk. This is one of three that were refurbished in the early 1970s under the personal supervision of Jim Keeble. It received a few subtle upgrades that Jim had not had the opportunity to introduce while the car was in production. With 300 bhp on tap, performance even today is impressive, with 0-60mph in under 7 seconds and 100mph just 10 seconds later. When launched, it was the world’s fastest 4-seater, ‘Motor’ magazine describing it in 1965 as ‘electrifying’. 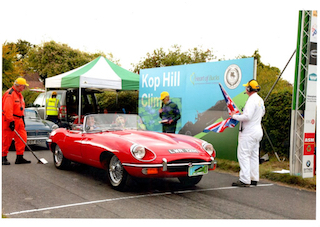 The car is owned by Roy Dowding, who has been custodian since 1989. The car’s fifth owner, he had first set his sights on ownership after reading the ‘Autocar’ road test of the prototype back in 1960! This car was first registered in the UK on June 28th, 1947. In 1968 it was bought for use as transport during university and put into dry storage in 1976 where it remained until 2013 when it was offered for restoration. 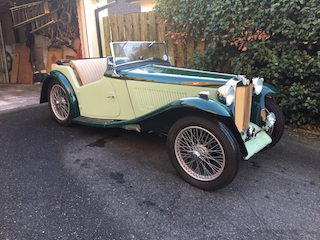 The car was rebuilt by Ant Anstead and his team at Evanta Motors, working with MG specialist Peter Edney, and was wholly rebuilt to its original specification. 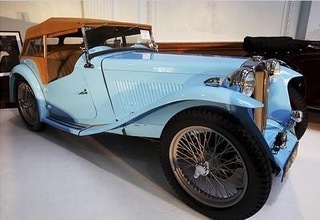 The Alvis TA21 was a distinctly up-market gentleman's motor car, with an average sale price of £1871. Autocar magazine reported at the time that the TA21 would appeal to ‘discerning owners who appreciate quality and good handling as well as performance.’ This stylish DHC represents classic Fifties motoring. Its powerful three litre engine provides plenty of torque and a top speed of 90mph. The owner spotted this American-specification car at a Citroen car rally and acquired it in 1993 after meeting the previous owner at Knutsford Service Station and taking a test drive. This car was supplied new to former WW2 RAF pilot, ‘Dizzy’ De Villiers, Chief Test pilot for De Havilland in the 1950s. 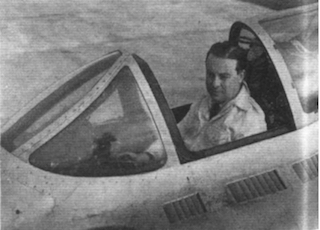 That decade when he became - admittedly inadvertently - the world’s first open cockpit pilot to reach supersonic speed when his cockpit canopy self–jettisoned and flew off mid-flight. 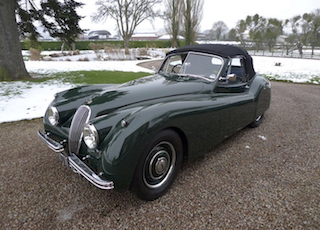 In 1972 the XK120 was acquired by Cedric Thomas, who had just given up a 25-year career as a motor mechanic and bought it as a project to keep him occupied in his retirement. Something of a perfectionist, he was to spend the next 30 years in a money-no-object restoration to bring the car up to standard. 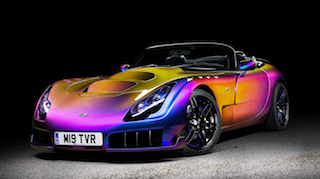 The name Sagora is derived from combining a Sagaris and Tamora, two production cars from the TVR Blackpool factory, and is the brainchild of owner John Waters and David Hillis, known as ‘Plasticman’ within the TVR community. It was the very first convertible Sagaris registered on the road. A 25-year labour of love... This 3000 was sent new to New York as an LHD export model and taken off the road in 1987. The current owner bought it in 1993 and repatriated it to the UK for restoration. Work started that year; the car being reduced to many boxes of parts and a rusty chassis. Work continued for the next five years, including converting the steering to RHD. Progress then stopped until 2014 as life commitments took precedence. 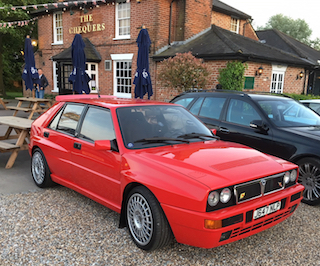 However, the owner returned to the project when he retired, and car passed its MOT at the first attempt in June 2017. Wherever possible, all the original parts of the vehicle were either repaired or reconditioned. However, some elements such as upholstery and the hood, due to their extremely poor condition, had to be replaced with new. This much-loved E-type has been in its present ownership for 18 years. Its previous custodian owned it for 23 years. 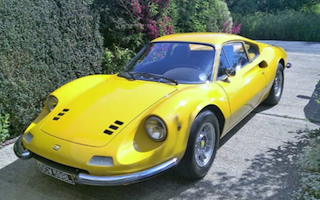 Number 25 of just 68 A610s imported into the UK, this bright yellow Alpine still has its original paintwork. This rare machine’s owner is only the car’s second custodian. 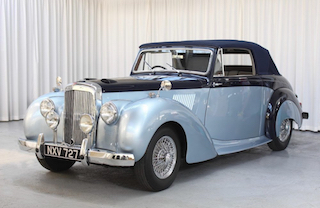 The A610 was a highly-specified motor car - at the time of manufacture the only optional extras were leather upholstery instead of velour cloth, and a ‘luxury’ Pioneer CD player. “Ernie is for driving, not showing! In my 2½ years ownership, we have taken part together in several rallies and tours including two weekends at KOP Hill and the North Wales ‘Brass Monkey’ and Ernie has even lapped Silverstone! 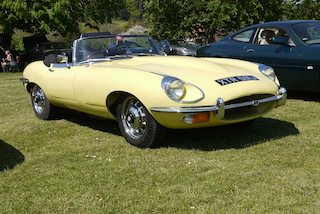 This car was the first E-type restored by Hutsons, the Bradford-based E-type specialists. It appeared in their advertisements and, nearly 30 years later, is still shown in their current sales brochure. 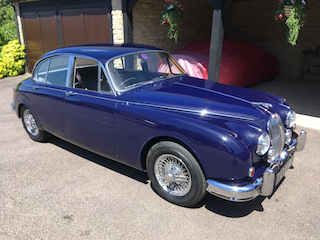 In the 16 years that it has been in its present owner’s care it has been employed in many roles including wedding transport, navigational rallies in the UK and Europe, Kop Hill Climb, various static events, weekends away and the supermarket run. This car was imported from Japan at the beginning of 2017 and has a Maranello certificate of authenticity. It is an all matching numbers car, and original down to the radio! One of only 244 TF 1500s registered in the UK, this is the second last to be sold in the UK. 3,600cc straight 6 speed six TVR engine, 350bhp @ 7,000 rpm, acceleration 0>60 in 4.2 seconds 0>100 in 9.2 seconds, top speed 180 mph+. A5 GVH was first registered in January 2005 and is a very early Tuscan 2. It has had one owner from new and has led a fairly hard life, now having covered almost 80k miles without any major mechanical work. 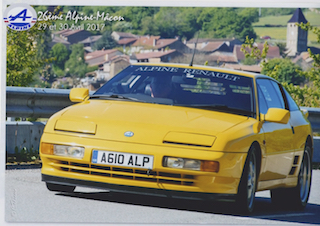 It has done many track days and has been used for continental trips to southern Spain, the Black Forest, all over France, Belgium and Holland as well as all over the UK. 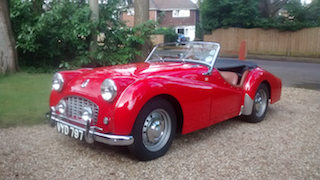 This ‘barn find’ TR3 turned out to have a hidden and extensive rally works history. 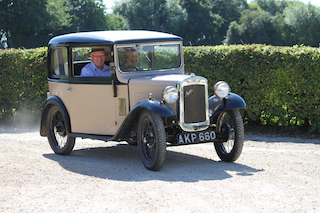 theo wner purchased the car as a barn find in 1990 and it was then given a ground-up, five-year restoration. In 2007, as a result of a ‘Lost and Found’ article in TR Action, the TR3’s rally history was uncovered. It had once been owned by Leslie Griffiths and Norman Blockley in whose hands it took part in several major international rallies in period, winning a ‘Coupe des Alpes’ and finishing 4th in Class in the 1956 Alpine Rally as part of a top-ranked Standard Triumph team lead by Maurice Gastonides. 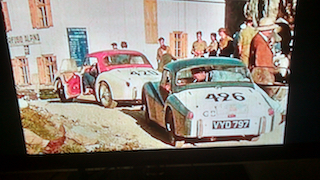 5 of the 6 TR3s entered finished in the top 5 places. 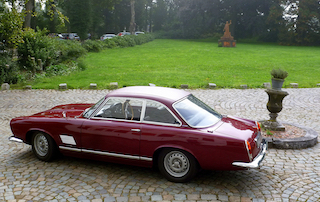 It went on to compete in the 1956 and 1957 Liege-Rome-Liege and Tulip Rallies. It is still in regular use, covering several thousand miles a year. Owner comment: “We purchased the car unseen from a dealer in St Louis Missouri in late 2015. We had the car inspected in the USA and it roughly matched our expectations, a solid car, nothing missing. The inspection didn’t tell us that the car had been driven very little following the restoration. Consequently, things started to go wrong: oddly behaving wipers turned out to be because the motor wasn’t attached! The front suspension adjustment was also wildly out, with a few loose bolts thrown in, etc. This car was completed in the buildings at Eastleigh where the prototype Supermarine Spitfire was built. 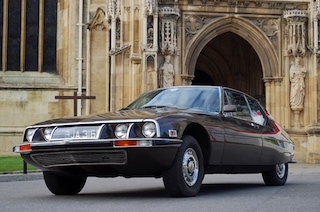 This particular car was selected by ‘Barclaycard Magazine’ in May 1972 as one of five iconic cars to illustrate that “elderly sports cars – if they’re good and rare - offer a bonus to shrewd buyers”. 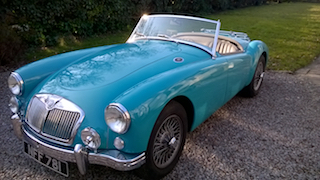 The others chosen were a Lotus Elite, Daimler SP250, Austin-Healey 3000 and a Jaguar XK120. Interest in classic cars was almost a novelty, and Barclaycard correctly foresaw that it would become an engrossing hobby, spawning a widespread supporting industry, and “something a lot more lucrative than Ernie’s Bonds or gilt-edged stocks”. 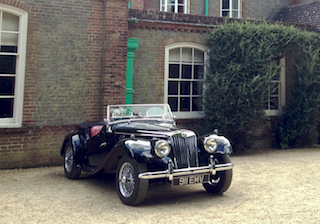 This car has recently been filmed for the BBC series ‘Father Brown’. Built in 1955, it was delivered to University Motors in South London and still carries the UML metal delivery plate on the front passenger door. In 1973 its engine was upgraded - possibly to go rallying - then the car was laid up in a barn from 1977-2004. Its owner bought the car in 2005 specifically to take to the Goodwood Revival, which he did two days later - “Four up, with luggage”. 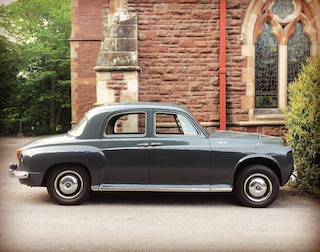 In 2014 the Magnette embarked on a 14-month restoration. Exported to the US in 1971, this car is believed to be one of the launch cars used to promote the Triumph Stag’s introduction into the USA. The car underwent a total nut and bolt rebuild in 2002 with no expense spared or detail overlooked. The previous owners of this car were Ferrari and Maserati technicians, so it has benefited from the very best maintenance standards. 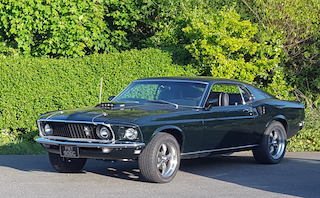 ‘The doctor’s Mustang’ is a real testament to the period of the time; the Vietnam war, Richard Nixon, Woodstock, the Rolling Stones, Creedence Clearwater and the man on the moon. 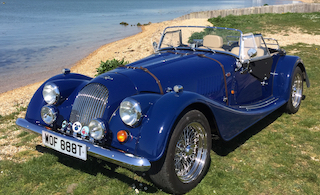 This car was imported into the UK in 2015 by its now owner, Peter Sargent. Up to this point it was a one-owner car, having been bought by an American straight out of graduation in 1969. It arrived in the UK with its original owner’s manual, brochure, original spare keys and even a thank- you letter from the dealer Rice and Holman of New Jersey, dated April 8th 1969. The Mustang - affectionally now known as Jolene - has every single receipt for work carried out for its entire life. Completing 50,000 miles in the first 18 months the doctor’s car travelled all over the state of Illinois as the on-call car.